Playing while it's raining at a festival is always a gamble. Lots of people who would have otherwise wandered over out of curiosity are hiding out in every covered nook and cranny imaginable, so it was only the diehards waiting in the drizzle for The Julie Ruin's mid-afternoon set. But, to be honest, it was all the better for it. 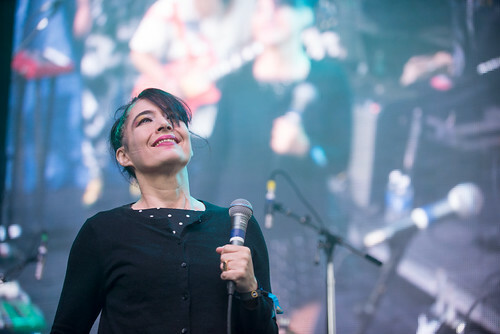 Not only is Kathleen Hanna is a Pacific Northwestern legend, she's also an all-time great frontwoman, so playing to a crowd of people who knew her work and ethos inside and out only underscored the sorta homecoming gig for her. 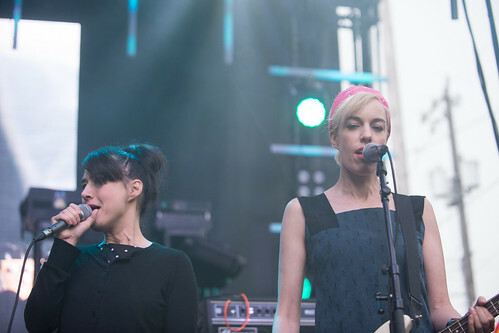 (The set had an additional significance because Julie Ruin were supposed to play Block Party in 2014. After a flare up in Hanna's lyme disease, the dates had to be pushed back a year.) Hanna's ebullient presence was the perfect counterpart to the rain, and as she danced her way through the set, she was met with fervent applause from those in attendance. 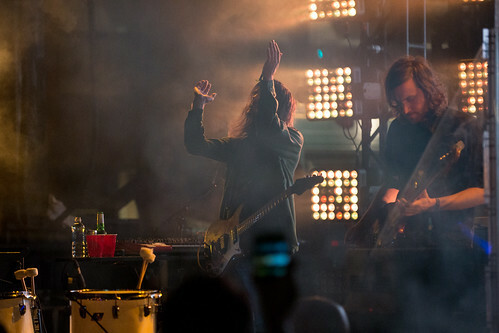 (Save for maybe Father John Misty, no other artist had nearly as many "I love you! "s shouted at them.) 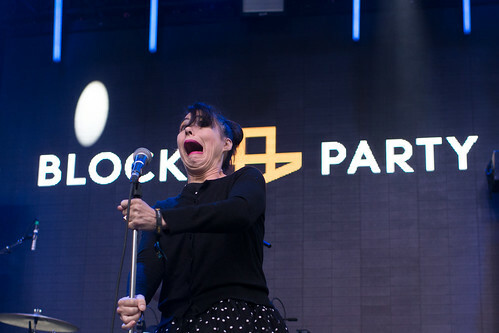 Run Fast, the group's debut album, is more in line with Le Tigre's fun anthems than Bikini Kill's austere politics, and it was easy to see the sincerity on Hanna's face when she admitted her favor for singing over yelling these days. 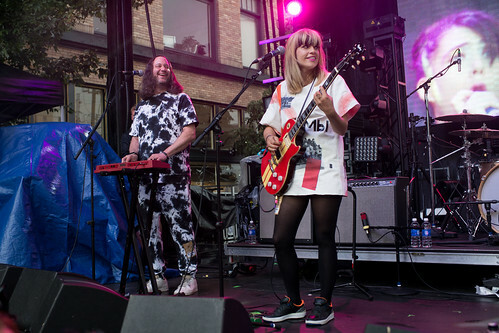 At a time when pretty much no one at Block Party was having fun, The Julie Ruin seemed to be having the time of their lives, and while that didn't bring out the sunshine, it was certainly the next best thing. 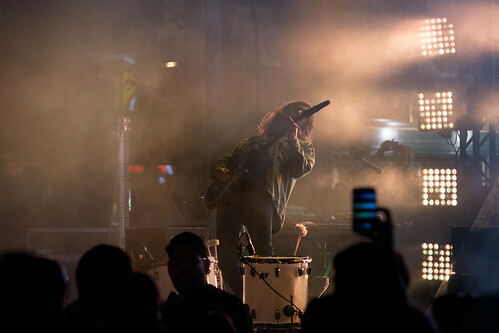 When Ratatat's name appeared at the top of the Capitol Hill Block Party lineup, it was a refreshingly unexpected booking. 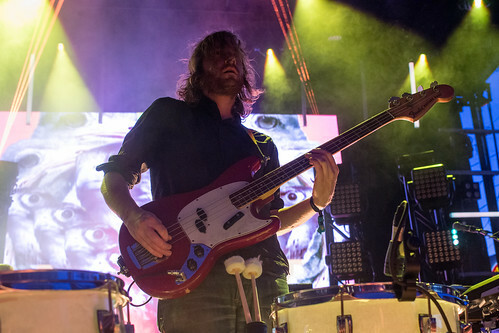 Considering that the Brooklyn duo hadn't played extensively in years, much less flogged the festival circuit to death, and only had a little bit of new music announced at the time, it seemed like the perfect stage for Ratatat to follow through on the profile they've gained since their appearance. That's not to say that Mike Stroud and Evan Mast didn't have some stature during their initial 2000s run - they certainly did - but in an unlikely twist, their music has gained a much bigger audience in their four year break, and their musical versatility is to credit for that. 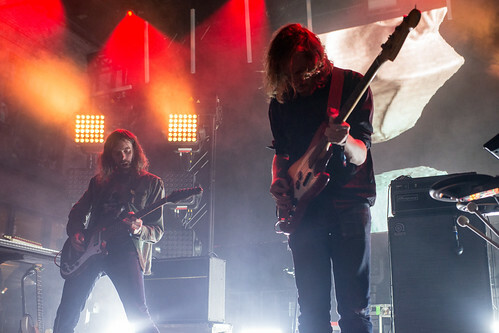 In an era where the monogenre is king, Ratatat might have be one of its primary beneficiaries, because their appeal is broader than ever. 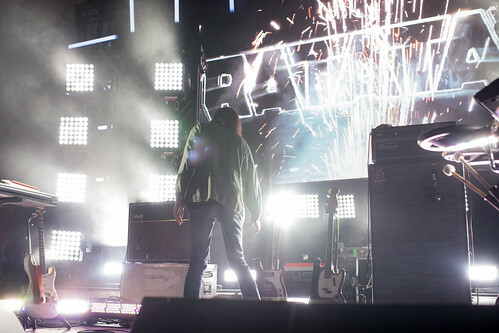 They've got blasting electronics for the rave kids, guitars for the rockers, heavy rhythms that cut through a festival crowd (like the huge one they drew on Sunday night, and an attractive light show with more smoke than Block Partiers could hope to muster themselves. The new material from this year's Magnifique fits in perfectly with staples like "Loud Pipes" and "Seventeen Years", but that's just icing on the cake. 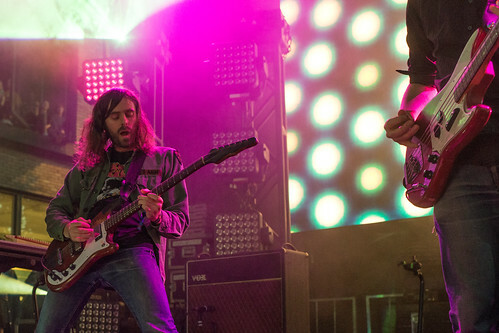 Ratatat had all the elements for a good festival set in 2010, but somehow, all they had to do was wait to get even better.